change-makers and enrich lives and minds through our partnership. Throughout 2019, the Mental Health Center of Denver will host several high-profile events that demonstrate our leadership in improving well-being and raise support for our programs. These events provide high-impact opportunities for brand exposure through sponsorships, allowing our partners to reach engaged audiences in a variety of ways. Our 2019 Speakers Forum series will bring together leaders from across the private, government and civil society sectors to explore how we can advance equity, well-being and access to high-quality and affordable healthcare through innovation. To sponsor Speakers Forum, contact Amanda DeGruccio. Gifts of Hope is our annual fundraiser, bringing together hundreds of community leaders to support our mission. In 2018, more than 530 people gathered to learn about how our organization is leading the future of well-being. To sponsor Gifts of Hope, contact Amanda DeGruccio. Gifts of Joy provides a meaningful opportunity to demonstrate your company’s commitment to well-being during the holidays. Sponsoring this program brightens the holiday season for thousands of children and adults and allows your employees to directly impact the lives of people we serve. To sponsor Gifts of Joy, contact Amanda DeGruccio. You have many choices of how you can invest in the community. 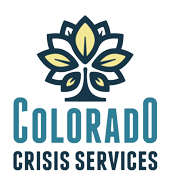 With the Mental Health Center of Denver, you can leverage the visibility of your organization while building a better Denver." Reach out to our team for more information about becoming a corporate sponsor. Be a part of our annual Report to the Community where we share our accomplishments and celebrate our supporters, community and those we serve.